Since 1992, Michael E. Dortch and the agents of InsureDirect.com have been proudly serving the residents of the Commonwealth of Pennsylvania. Originally marketing under their State Service mark “Cheap Auto Insurance,” InsureDirect.com was the first traditional, local Insurance Agency to start marketing Auto Products throughout the state of PA. Under the moniker “Cheap Auto Insurance,’ InsureDirect.com used advertising media like Weekly Newspapers and Telephone Directories state-wide. InsureDirect.com was also one of the first Keystone State auto insurance agencies to address the high prices of the Pennsylvania State Assigned Risk Plan, introducing specialty carriers like Progressive, Infinity, and Omni Insurance Companies. These specialty carriers generally charge much lower rates for Pennsylvania drivers with Accidents, Tickets, Violations, Suspensions and DUI. 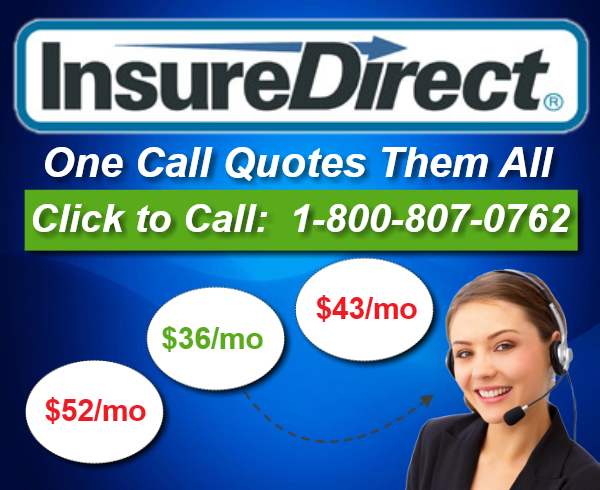 InsureDirect.com only sells Auto Insurance Policies which meet the financial Responsibility Laws in the Commonwealth of Pennsylvania. Auto insurance is a written agreement between you and the auto insurance company you pay premiums to on a monthly basis which protects you against a financial loss if you or a member of your household is involved in an auto accident. Automobile insurance policies contain a number of protective coverages. You can purchase as much or as little coverage as you need as long as the coverages meet the state minimum outlined by the state of Pennsylvania. When you agree and the premium is paid, your insurance carrier will pay for the losses as outlined in the Auto Insurance Policy Form. Purchasing adequate auto insurance coverage will insure your carrier will offset a large financial amount when you are involved in an auto insurance accident and it is determined to be your fault. The Commonwealth of Pennsylvania is a Statutory State Auto Insurance or Financial Responsibility. Vehicle owners in the state of Pennsylvania (PA) must purchase and maintain auto insurance coverage if they want to exercise their driving privilege. Pennsylvania law calls this maintaining (financial responsibility). There are a number of penalties if a Vehicle owner who drives in the state does not consistently fulfill their obligation and maintain the State Minimum Coverage. If a lapse in coverage occurs, this may result in a suspension of your car registration for 90 days. If you can prove to the PA Department of Transportation the lapse of coverage was for less than 31 days, you can avoid this suspension as long as you did not operate that vehicle during the time your insurance coverage was cancelled. If the PA Department of Transportation discovers you drove your car while your auto insurance coverage was cancelled, you could have your driver privileges suspended for 90 days or more depending if any other infraction took place during that time. Unfortunately; it does not stop there. You registration on your car will be suspended for 90 days as well. For the exact rules and regulations regarding these matters, contact the PA Department of Transportation or your local Licenses Tag Office. The State of Pennsylvania requires the following Financial Responsibility or Insurance Coverage. Medical Benefits — Pays medical bills regardless of fault. The minimum limit is $5,000. Higher coverage limits are available. Bodily Injury Liability — Pays others medical expenses when you are found liable for an auto accident. These minimum limits are $15,000/$30,000. $15,000 pays for injuries to one person, while $30,000 is the total available limit if more than one person is injured. Property Damage Liability — Covers damage you cause to someone else’s property. Could be a car or other private property. The minimum coverage limit for Property Damage is $5,000. Limited or Full Tort — You can choose one of these two tort options. Limited tort coverage is cheaper. You can still recover all out-of-pocket medical and other expenses. You may not recover or sue for pain and suffering unless your injuries meet one of the exceptions to limited tort rules. They are defined in Act 6 of 1990, title 75, section 1705 (d). Full tort coverage you have an unrestricted right to sue the at fault driver. For an exact definition or explanation on these Tort Options, consult one of our licensed agents or an attorney. Automobile insurance policies in the state of PA offer additional optional coverages. They can be purchased for an addition premium. Uninsured Motorist (UM) — This coverage applies when you are hit by an at-fault uninsured driver. Underinsured Motorist (UIM) — This coverage applies if you are hit by an at-fault driver who does not have enough insurance coverage. Stacking of UM or UIM — Allows you to either multiply the amount of uninsured or underinsured motorist coverage by the number of vehicles on your policy. It costs extra to stack uninsured or underinsured motorist coverage. Funeral Benefit — Pays for funeral expenses if you or a family member dies as a result of an auto accident. Income Loss — Pays a portion of your lost wages when you are in an auto accident and you can’t work. Collision — Pays to repair damage to your car as a result of an accident. Comprehensive — Pays for theft or damage to your car from hazards including fire, flood, vandalism or striking an animal. Extraordinary Medical Benefits — Pays for medical and rehabilitation expenses that exceed $100,000. It provides a maximum of $1 million of coverage. Accidental death benefit — If you are killed as a result of an auto accident within 24 months of the date of the accident. Rental reimbursement coverage — Pays to rent a vehicle if they have a covered comprehensive or collision loss. Towing coverage — Pays towing and labor costs for a covered disabled vehicle.